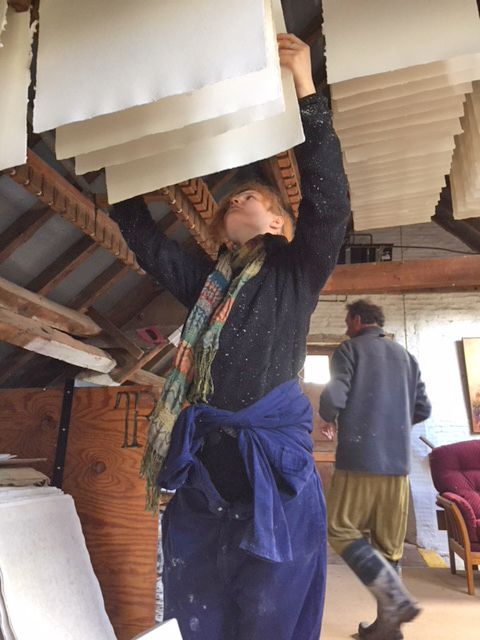 In April this year (2018), Lynda and I arranged with LFTA artist Sarah Ward to visit her workplace at Pitt Mill in Somerset. We had seen some new card publications on LFTA that were promoting the mill, and the unique work of the Two Rivers Paper Company, and we were intrigued enough to want to know more of the story behind them. 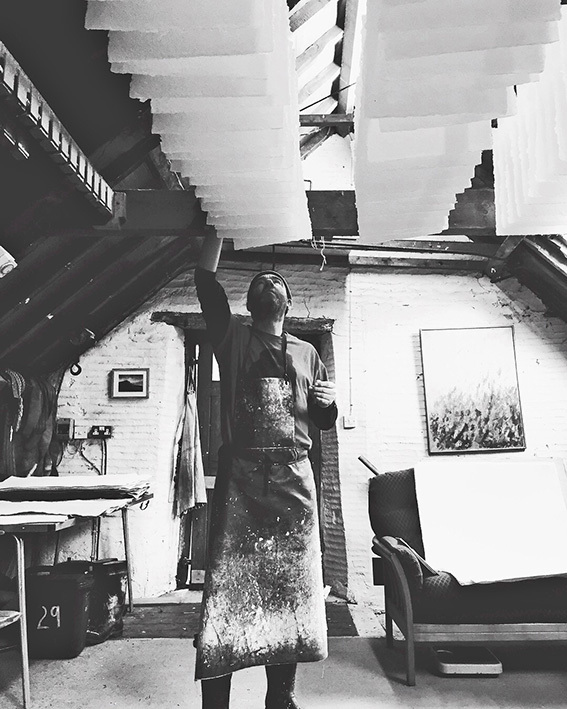 We had been doing so much work testing paper options for our new sinterescent art prints that paper was a great subject of interest to us at that time. We were about to get an education in the art of making the most beautiful and authentically crafted art papers. 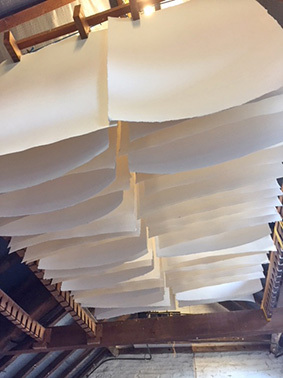 What was fascinating to me was to learn about the individual character and unique quality of each hand-crafted sheet. If you watch the little video (linked above) about the mill, the owner, Jim, talks about ‘selling imperfection’. 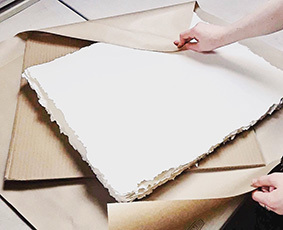 This is a lovely concept – most mills creating paper work really hard to get the imperfections out and get the highest level of consistency in their paper sheets, but this process inherently accepts that each sheet is different and that this is the basic nature of the product. It’s the ‘imperfection’ that makes the paper so perfect. I have added this small article to LFTA because I believe that the products created at Pitt Mill are of the highest value and should be of great interest to all our member artists, prospective members and to all artists out there. Having discussed our visit with several members, Lynda and I have both been quite surprised to find out that these beautiful papers are not as widely known about as we think they should be. 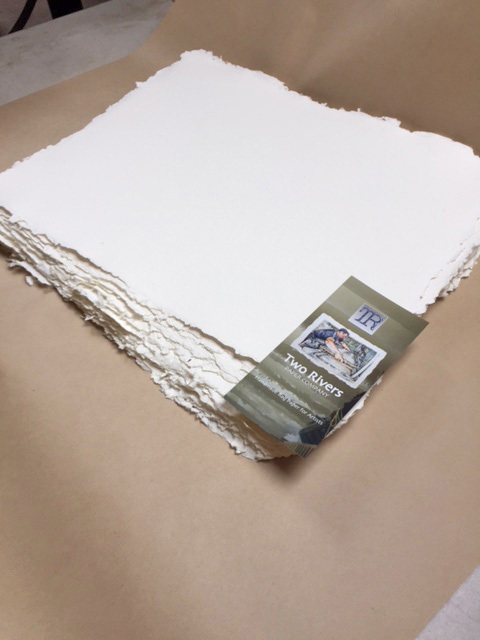 This month, June 2018, we are providing several sheets of Two Rivers Paper Co’s ‘Fauve’ paper to our great friend Alison C. Board at Downend Farm Studio. 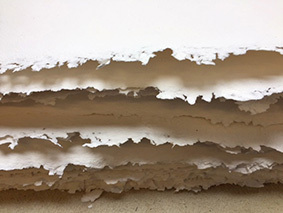 Alison and some of her students are going to create some new works on these sheets and we will follow up this article later in the year with information on the creations and feedback from all the artists about how they have found working with the paper.